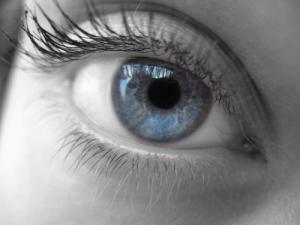 Vitamin C may be critical for eye health | KDT Optometry - Excellence Is The Only Option! New research indicates that Vitamin C may be critical to maintaining good eye health and could be protective for those at risk of glaucoma. The study done by Oregon Health & Science University indicates that Vitamin C may be needed for correct functioning of retinal cells. The study, published in the Journal of Neuroscience, found that cells in the central nervous system need to be bathed in Vitamin C and because the retina is part of the central nervous system, there is likely an important role for Vitamin C.
Retinal cells share some characteristics with brain cells, one of which is special receptors called GABA-type receptors that help manage the rapid transfer of information between cells. The research shows that in retinal cells these receptors stop functioning properly if there is insufficient Vitamin C.
This new research used goldfish retinas which the researchers claim have the same overall biological structure as human retinas. Dr Peter Hadden, Refractive-Cataract Surgery and Retinal Surgery Specialist at Eye Institute says Lutein, beta-carotene and biliberry extracts as well as dietary antioxidants such as Vitamins A and E have been used in eye health supplementation. “Now recent evidence suggests that Vitamin C is also essential to eye health and may have potential for general maintenance and protection of those at risk of glaucoma. “While there is still much to learn about the impact of Vitamin C on eye health, anyone that has a genetic predisposition to age-related macular degeneration or glaucoma may wish to consider taking supplements, including Vitamin C, to postpone or prevent the vision-disabling consequences of both these diseases,” says Dr Hadden. Michelle Palmer, Executive Director of Natural Products New Zealand says that while more research is needed to establish the extent of benefits from using Vitamin C for eye health, early indications would suggest that the antioxidant could provide positive results. “Vitamin C is one of the safest and most effective nutrients. It is an extremely versatile mineral that has multiple benefits, from protection against immune system deficiencies, and cardiovascular disease, prenatal health and healthy skin. We know that it is required to help the human eye function properly and this latest research demonstrates that perhaps regular supplementation of Vitamin C could be preventative to eye health issues,” says Mrs Palmer.